Shevchenko in New Football Boots? 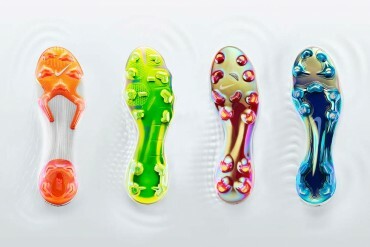 Andriy Shevchenko, the £30 million high profile signing by Chelsea, could be changing boot sponsors, yet again. Shevchenko, who was wearing Japanese football boot brand Mizuno at the 2006 World Cup, has been seen wearing Reebok football boots at the Chelsea training camp in Los Angeles. Ulkranian Shevchenko, had been involved in the development of the Lotto football boot, Zhero Gravity, before his switch to Mizuno. In April this year, Shevchenko was said to have signed a three and a half year contract with Mizuno, which would see him contracted with Mizuno until 2009. Reebok, recently purchased by Adidas, look to be making waves in the football boot market, recently signing Arsenal legend Thierry Henry who wears Reebok football boots. Nothing has been officially confirmed regarding Shevchenko’s football boots yet, but the tell tale signs seem to be there. Rbk seems to be prominently displayed on his boots, must be a black version of the one Henry’s wearing. I saw a picture two weeks ago with him wearing the Reebok boots, but he then switch back to the far better Mizuno Wave Shinken boot. He wore the Mizuno Wave Shinken football boots in 2006 World Cup? Wow, I did not know that, I thought he wore the Lotto Zhero Gravity the whole time. I’m surprised to know that.